Get a total body workout combined with proper nutrition! Our Fitness Cardio kickboxing class for women uses sports specific techniques along with weightlifting to help you meet your goals. Our women's fitness class has boot camp style training that is challenging by pushing you to the next fitness level while having fun! In our women's class, our style of training includes interval strength training, agility drills and cardio training to reach the goals you set. 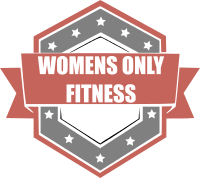 Our women's only fitness program is built from the foundations of MMA and combined with a wide variety of workout styles to meet the needs of our students. Just two routines a week can help you Break out of a fitness rut fast and help you feel re-energized. This class offers a great combination of boxing, kickboxing, aerobics and resistance exercises blended together to produce an impactful cardiovascular workout.